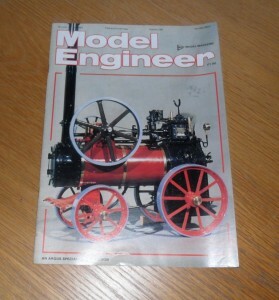 Vol 158 #3803 19th June 1987 of the British Magazine, Model Engineer. Features in this issue includes graduating a rotary table, machining brass bells, Natal – a 3 1/2 inch gauge South African Railways class 16DA loco (part 6), a locomotive transport box, bonding rubber tyres, spring design and manufacture (part 11), Ariel – a S.R. rebuilt Merchant Navy class loco in 5in scale (part 30) and many other articles and features.